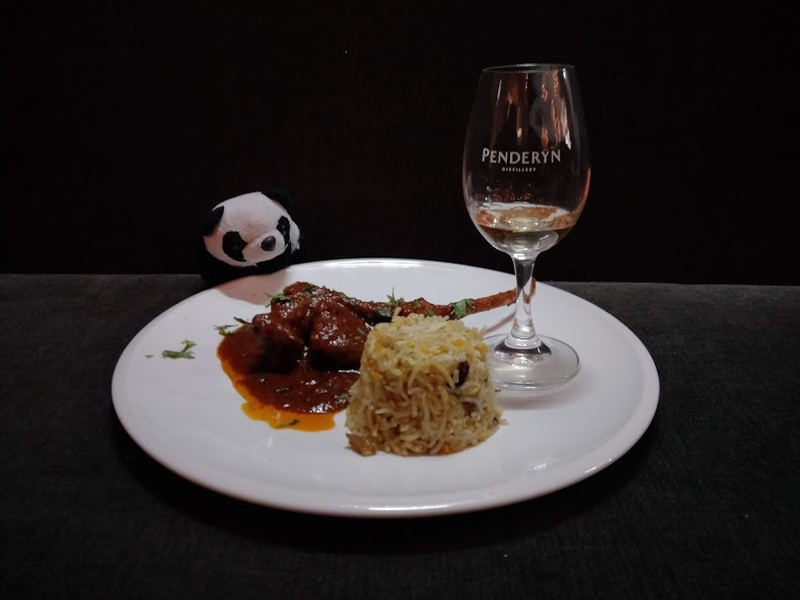 WhiskyGeeks is excited to have been invited to a media tasting for the first Penderyn & Navy Island rum dinner, paired with authentic Indian cuisine. 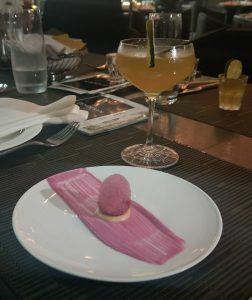 This tasting was a preview to the dinner open to attendees at the World Gourmet Summit 2019. Finding a befitting restaurant for this dinner is crucial, as it must offer traditional authentic cuisine combined with flair, grandeur and elegance. 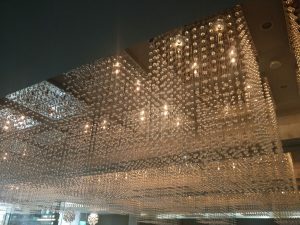 That said, I would say that there is no place better than Punjab Grill, which has an atmosphere that was brimming with grandeur. The dishes were presented like works of art and its form allows its flavours to perform in perfect harmony on my palate. 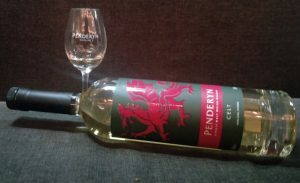 Penderyn is a Welsh single malt, that has a sweet, fruity spirit character, with every drop unchill-filtered and natural colour. 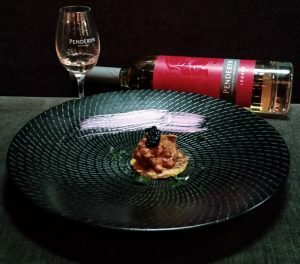 Penderyn is distributed in Singapore by Spirits Castle. The Navy Island rum is brought in by both Interco-MLE and Spirits Castle. Navy Island has its core range and also a Single Origin range called the 1731 Fine & Rare, highlighting terroir in rum. One bottle of rum each from the two series will be featured in the dinner. It was a savoury dish to start, which took me by surprise, especially because of how pink it was. The various textures of the dish were so different, from the foam, to the base and the cream.The Navy Habanero Mule is based on the dark and stormy cocktail with a few changes. It features the Navy Island 40% rum, Hanebo Chilli monin syrup and a special ginger powder provided from Punjab Grill themselves. The rum itself is less sweet but has more personality than most commercial rums. The cocktail maintains the rum’s unique spirit character, whilst balancing any sweet or citrusy tones from the Hanebo Chilli monin syrup, with an added dimension of flavour from Punjab Grill’s Chilli powder. This dish was a delightful savoury dish. While the Seekh Kebab with the Rogan Glaze provided more herbal and heavier meaty notes, the tender fish coated in a peppery mustard exterior was lighter and mildly spiced. Paired with this appetizer was the Penderyn Celt, which aged in ex-laphroaig casks. This imparts a light but distinct smoky peatsmoke note to the sweetness of the Penderyn single malt. Penderyn’s house style was intended to be sweet and unpeated; however, the Laphroaig cask was bought and filled due to an accident which turned out to be an unintended success with how delicious it is. This was an outstanding pairing! Due to the Islay touch, the smokiness of the Celt complemented the coastal savoury fish and the Seekh Kebab. 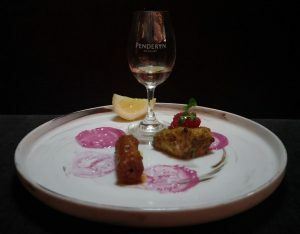 The sweetness from Penderyn’s spirit character juxtaposed the savoury spice dish. For me, it was of both a contrasting and complementary pairing. For people who might notice the smoke then the sweetness, the nature of this pairing would change as the whisky changes for you. The entrée was a very different texture compared to the appetizer. The pancake was soft and chewy, serves like a platform for the mildly spiced shellfish bharta and caviar. 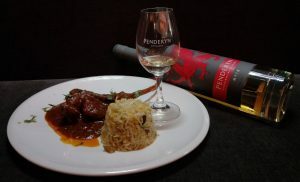 The Penderyn Legend 41%, was chosen to pair with this entrée. Initially aged in ex-bourbon, it is finished in a fruity Madeira cask that goes well with the sweetness of the spirit character. The intense umami and savoury dish met its match with the Legend (no pun intended), which provided strong sweet fruit flavours to combat the entrée’s daunting flavour. This pairing was a contrasting pairing, somewhat like the clashing of the titans, but in an enjoyable way. The pairing intensified the honey and citrus notes of the whisky as well. The lamb was a beautiful shank, the gravy sauce was mildly spiced and had some mutton flavours to it. The meat itself is soft, tender, and melts in my mouth. The Whisky paired to the main is the Penderyn Myth which underwent maturation in ex-bourbon casks prior to a Red Wine cask finish. Bottled at 41%, this is a dram with notes of cinnamon spice and red berries, coupled with citrus zest, vanilla and confectionary sweetness from its ex-bourbon maturation. The spice of the dram blended well with the spices of the dish, whilst the sweetness of the Myth juxtaposed the main dish. 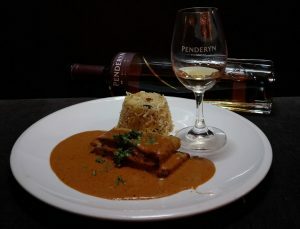 For seafood lovers, there is also another option for mains of having Tava Grilled Chilli crushed Jumbo Tiger Prawns, served with Chettinad & Coconut Smooth Gravy, paired with Penderyn Sherrywood. The platter consisted of a pineapple cheesecake, a lychee, caramel ice cream dusted with delicious crumble, and a warm mildly sweet paste decorated in a blueberry sauce of sorts. A dish just as pleasing to the eye as it is to the palate. The dessert is paired to the Cuban 5yo rum which is a Spanish style “rhum” using column distillation. Regionality dictates that only Cuban molasses and sugarcane should be used, giving some providence to its terroir. 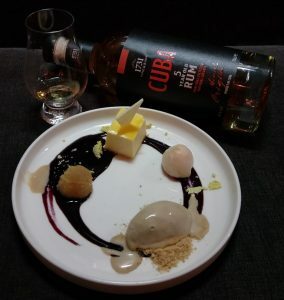 Though the initial taste of the rum was fresh and zesty with notes of honey, the pairing brought out a different dimension to the Cuban rum. The sweetness of the dessert was able to accentuate an earthy note in the rum which I did not notice in the rum before I had the dessert. This pairing was a truly transformative experience. How do I get to attend the dinner? The dinner will be available at the World Gourmet Summit 2019, with a vegetarian option. It will cost 128++ without whisky pairing and 178 ++ with whisky and rum pairing. With the 5 drinks, I think it’s worth getting the latter! You can reserve your seats at this link! Grab your seats now! Special thanks to Zerlina of Spirits Castle for the invitation, this was an absolutely remarkable experience!